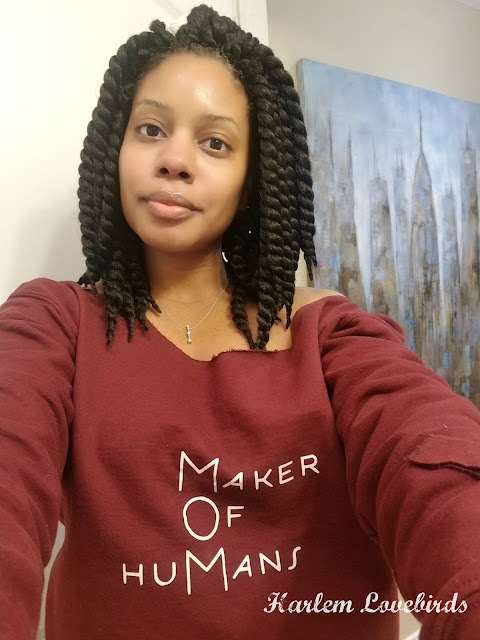 The holiday season is a festive time often filled with story telling. It is in this same vein that I'm sharing quite a story with you today. Grab a cup of tea and settle in, it's long, twisted and confusing, but I promise it has a good outcome! Some of you may recall Mr. Lovebird helping me with a DIY headboard project a year ago. 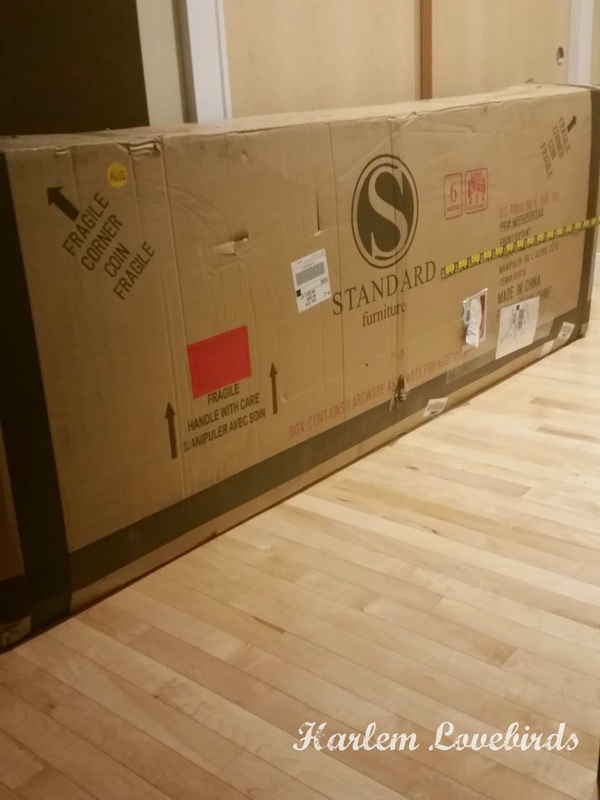 It was a challenge and costing nearly $200 since upgrading to a king size bed in our new place here in New Hampshire we decided to forgo the DIY route and purchase one instead. I clicked the link on the Madison Square Bed and saw it in a gorgeous Olive shade annnnnd it was about $100 less than the original headboard that was en route plus it included a footboard. We had already ordered our king bed (from Amazon, I might add - Mr. Lovebird's idea!) and we also had a box spring coming. I realized the original headboard from Target could require a frame, but I remembered I still had our queen frame which I hoped to sell after we got rid of our bed before leaving NJ. I saw on Amazon that some frames are adjustable and while we checked ours to see if it was, it turns out it wasn't so an additional purchase would be in order if we stuck with the Target headboard. I called Mr. Lovebird and shared with him the new development. 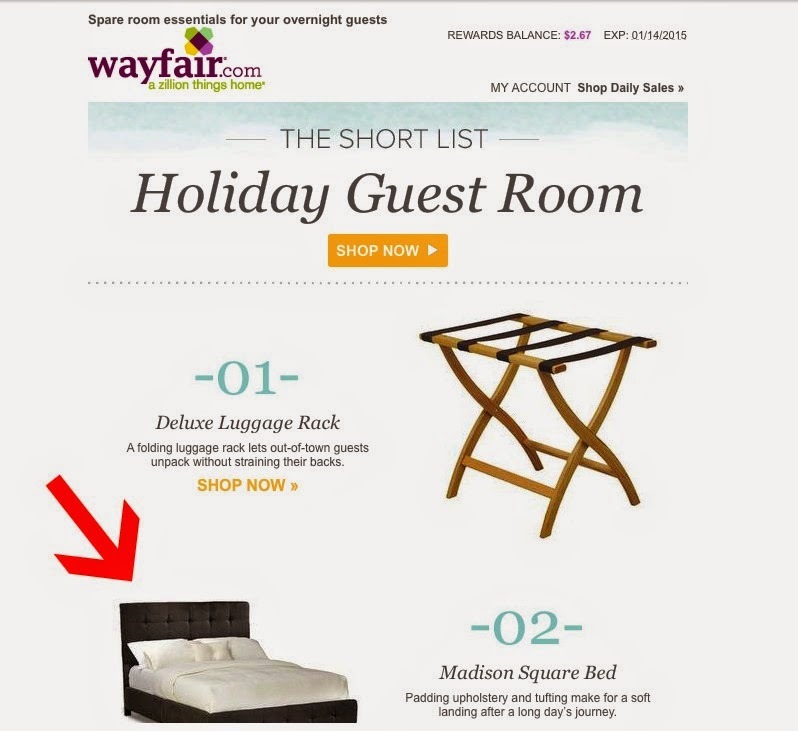 We decided the Wayfair bed was indeed a better purchase since we could just drop in the box spring, mattress and be done so I ordered it. I was so confused but jumped into action checking other sites for the Olive headboard but only came across other colors and they were substantially more and/or didn't have free shipping like Wayfair. At this point Mr. Lovebird proclaimed that he was fine sleeping on the boxspring and mattress on the floor as we had been, but me being like any other human Type A Quiana insisted we have a proper bed so I continued the search. It wasn't quite what I wanted but it was in budget (only $299 at the time - since then it's now $289), but the issue was that it didn't require a box spring which meant we'd I'd have to sell our new one - yet another hassle. With the outstanding purchases already waiting to be refunded Mr. Lovebird was losing patience, but I assured him that I'd keep track of everything until it was resolved. So I ordered the Walmart headboard and canceled the Target order that was already in transit. This involved not only alerting Target but their 3rd party carrier who would be delivering it - they were very friendly and appreciative that I gave them a heads up which helped avoid extra fees and wasted time. Sidenote: I had to stay on top of Target for the refund. They didn't immediately process it when I canceled the order. Now for the fun part . . . What?! 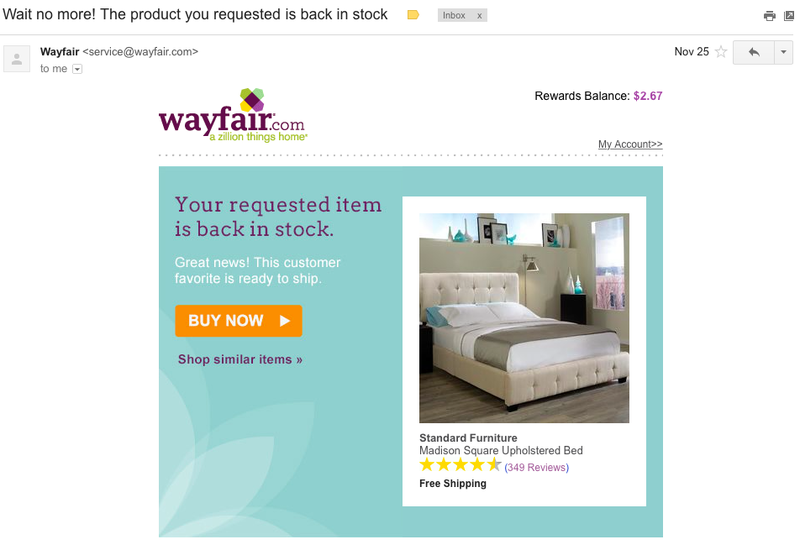 Usually when I order from Wayfair (disclosure: I'm one of their featured bloggers) if something is out of stock there's a notice right there on the item page with an estimate of if/when it will be back in stock. When my Olive headboard order was canceled there wasn't an inventory notice; it was just GONE. 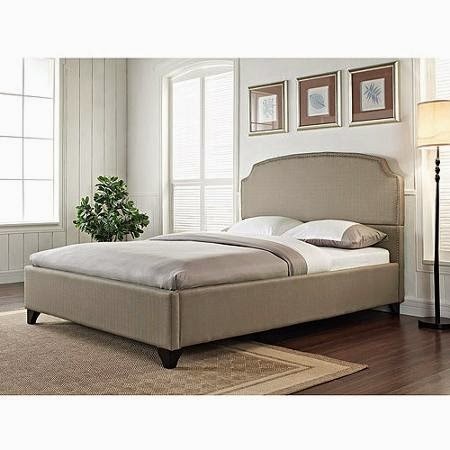 This time around it was indeed the same model of headboard in stock, but it was a different color: Taupe. While it appeared cream colored in the picture, the user reviews confirmed that it was more of a khaki color which is what we actually wanted. So what did I do? Like any good shopper I ORDERED IT! YAAAAAS, I did. Did I tell Mr. Lovebird? I think so, but I knew one thing for sure: after what happened the first go around, I was NOT going to cancel the Walmart headboard until the Wayfair headboard was certain. I forgot to mention the Walmart headboard was a "ship to store" purchase which saved me shipping costs (woo hoo! ), but it was arriving in two boxes. Mr. Lovebird was adamant that he would have no part in my pick-up shenanigans and as the delivery date neared I was nervous about how I'd load up the car with two kids once the boxes arrived, but I figured, "Hey, I have a Wellesley degree! I can do it!" I cautiously placed my order for headboard #4 (still waiting for the refund of the initial Target headboard) and waited for the purchase to go through. I checked two days later and saw the transaction had posted to my account. "Great!" I thought, "This might actually happen." I got a notification from Walmart that the first box had arrived and was ready to pick up. Then a day went by and no notice on the 2nd box. I then decided it was time to cancel the order but then a strange email arrived that the 2nd box was delayed. I decided to call and cancel the entire order (ultimately, it turned out it was damaged in shipping). Boy, were they confused! They thought I had the bed in my home and I had to explain multiple times that it was ship to store and one box is at the store while the 2nd box is delayed. It took nearly an hour to sort it out, but alas they did and I received email confirmation on my refund (and I've since received it). So. 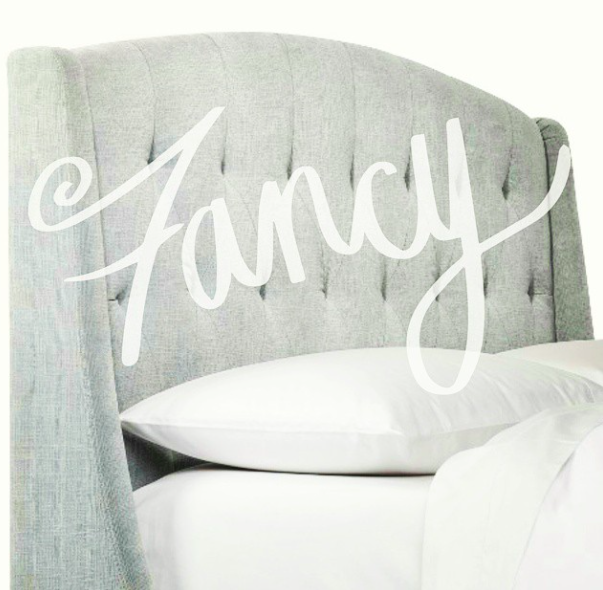 There you have it: my tale of 4 headboards. Overall I lost the $40 handling fee from my initial Target headboard and the $60 cost increase of the Wayfair headboard (it's now $298, $24 less than what we paid), but Mr. Lovebird agrees: it's a pretty awesome bed. We love the design and the comfort. Oh and we sleep REALLY well on our Amazon mattress! Have you ever had a crazy switcharoo purchase story like mine? 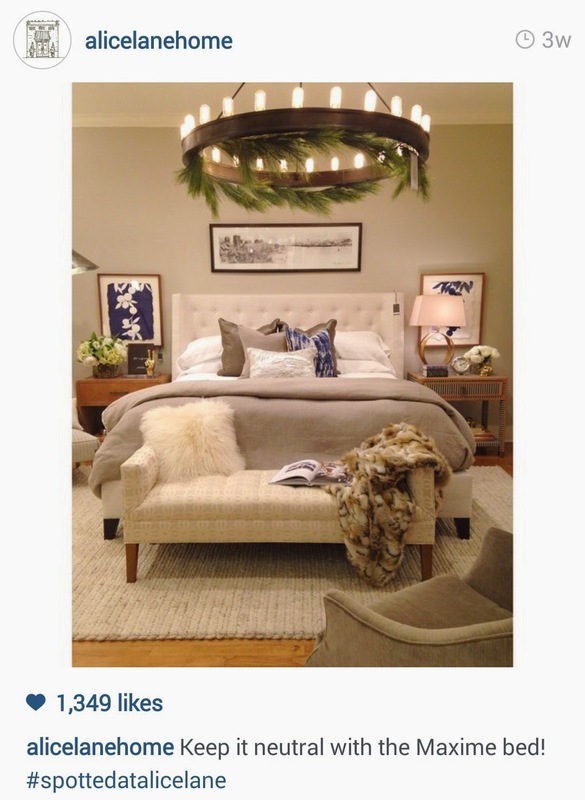 Would you have given up at say, headboard #3?